A joyous train ride that takes you along the seafront at Bournemouth! This land train has three routes taking you to various tourist attractions of the city like Bournemouth Pier, Boscombe Pier and Boscombe Chine Gardens. Besides, you can also see other sites like the Isle of Wight and the Purbeck Hills. It is widely popular among kids and adults both. Hence, if you are travelling with your kids, make sure you take them on this ride. The best feature of this train is that it is accessible for disabled people who are confined to wheelchairs. The ride is accessible for individuals confined to wheelchairs. Check the train schedule at the ticket center. 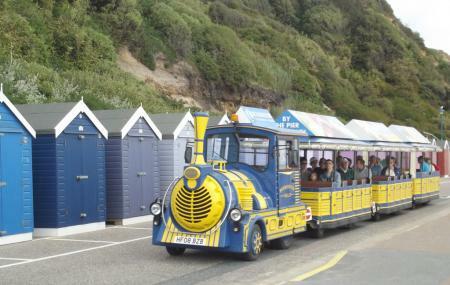 How popular is Bournemouth Land Train? People normally club together St. Francis Of Assisi Church, Bournemouth and Russell-cotes Art Gallery And Museum while planning their visit to Bournemouth Land Train.